Sushi House Goyemon was and is probably one of my favourite Japanese Sushi places that I’ve been to in a long time but having said that, I’m not a local of Las Vegas and I am comparing my experiences with those restaurants I’ve been to in Melbourne, Australia. 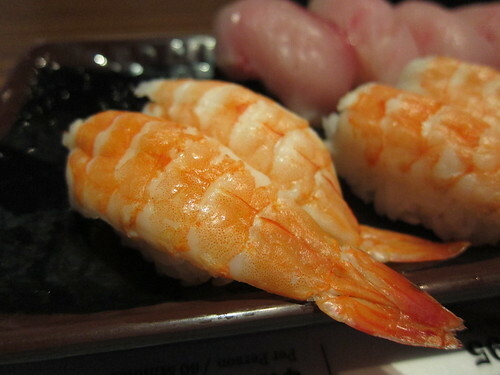 One of the fantastic things about this place is their All You Can Eat (Order) Lunch and Dinner offers, in which for a set time you can basically order anything off their menu, ranging from the various Sushi rolls such as Nigiri, tempura, deep fried, baked and of course the standard rolls and side dishes and desserts too. Those with a preference for rice, noodle or curry dishes can quash their worries as this is also on offer. 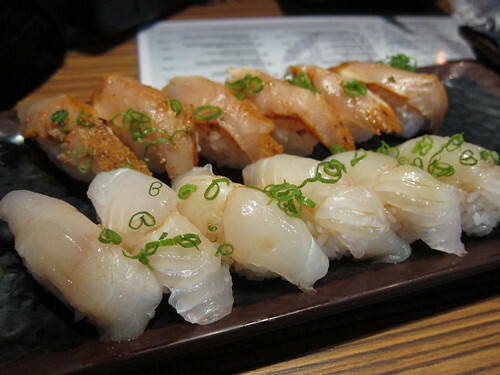 They have a wide range of Nigiri sushi using various types of fish such as tuna, yellow tail, red snapper and mackerel but also prawn and scallop nigiri sushi as well. Fresh fish with rice and a bit of soy sauce is sometimes all you really need. They also serve a large assortment of sushi with different fillings or toppings, you would definitely struggle to try them all in one sitting! 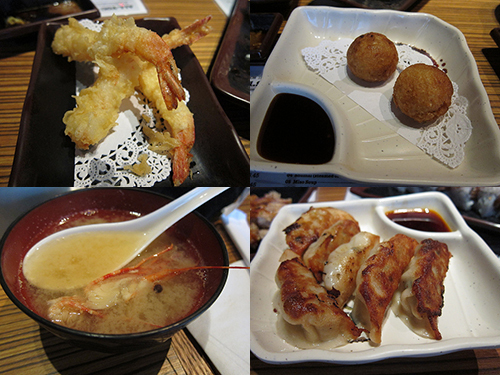 Other than sushi, they have a couple of entree like items such as their green baked mussels, prawn tempura, takoyaki and fried gyoza. 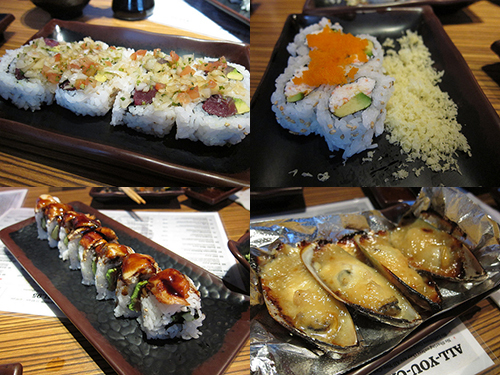 If it’s your first time here, a group scene might be best if you’re dying to try a bit of everything on the menu. One you order the desserts I believe you won’t be able to order any of the other menu items again. 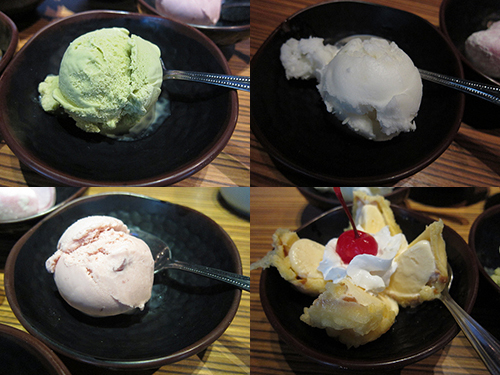 Their ice cream range of course has green tea, but also this fried ice cream which I’ve never tried before. Well, to be honest, I don’t see a need to try that one again but for those wanting something crispy to go with their ice cream, be my guest. 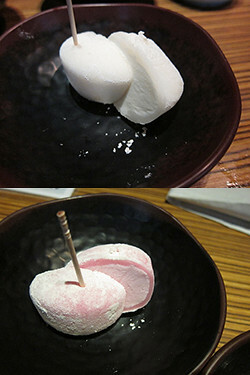 Their ice cream mochi’s are quite nice too, the dough is still soft but the inside is nice and cold. Lovely on a warmer day. 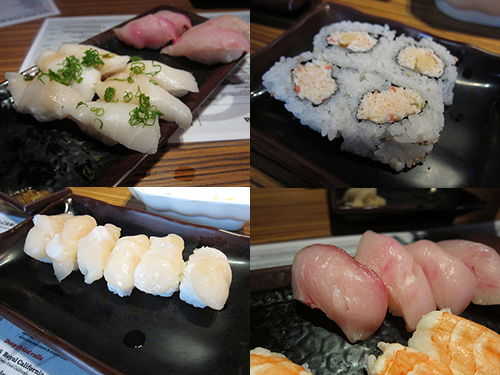 I was very impressed with Sushi House Goyemon, their menu range is fantastic and yet most of their dishes come out on top. 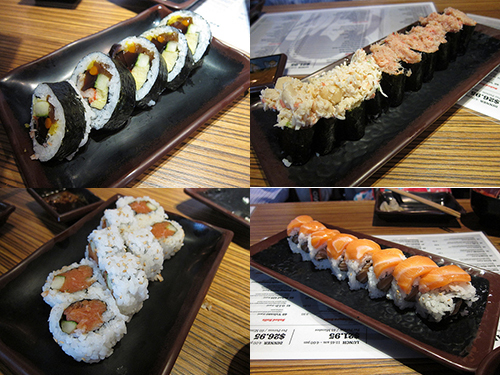 Overall for a decent price too for sushi, it’s great value for money.